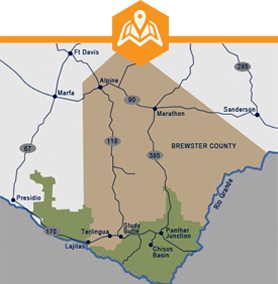 Big Bend , because of it’s geographical location, and the variety of the landscape, offers excellent habitat for birds. 425 species are found within the boundaries of Big Bend National Park, more than any other national park and more than all but a few states. Description and checklist for mammals of Big Bend, with 75 species in 23 different families. Overview of vegetation in Big Bend and Chihuahuan Desert. Big Bend National Park, in southwestern Texas, was established in 1944 and consists of over 801,163 acres (1,252 square miles) in the Chihuahuan Desert.